Marx S, Bodart L, Tumanov N, Wouters J. Design and Synthesis of a New Soluble Natural β-Carboline Derivative for Preclinical Study by Intravenous Injection. Int J Mol Sci. 2019 Mar 25;20(6). Sana G, Madigan JP, Gartner JJ, Fourrez M, Lin J, Qutob N, Narayan J, Shukla S, Ambudkar SV, Xia D, Rosenberg SA, Gottesman MM, Samuels Y, Gillet JP. Exome sequencing of ABCB5 identifies recurrent melanoma mutations that result in increased proliferative and invasive capacities. J Invest Dermatol. 2019 Mar 21. Penninckx S, Heuskin AC, Michiels C, Lucas S. Thioredoxin Reductase Activity Predicts Gold Nanoparticle Radiosensitization Effect. Nanomaterials (Basel). 2019 Feb 19;9(2). Li S, Bouchy S, Penninckx S, Marega R, Fichera O, Gallez B, Feron O, Martinive P, Heuskin AC, Michiels C, Lucas S. Antibody-functionalized gold nanoparticles as tumor targeting radiosensitizers for proton therapy. Nanomedicine (Lond). 2019 Jan 24. Marx S, Van Gysel M, Breuer A, Dal Maso T, Michiels C, Wouters J, Le Calvé B. Potentialization of anticancer agents by identification of new chemosensitizers active under hypoxia. Biochem Pharmacol. 2019 Apr;162:224-236. Deschênes-Simard X, Parisotto M, Rowell MC, Le Calvé B, Igelmann S, Moineau-Vallée K, Saint-Germain E, Kalegari P, Bourdeau V, Kottakis F, Bardeesy N, Ferbeyre G. Circumventing senescence is associated with stem cell properties and metformin sensitivity. Aging Cell. 2019 Jan 6:e12889. Gilloteaux, J., Jamison, J., Arnold, D., & Summers, J. Autoschizis: A Mode of Cell Death of Cancer Cells Induced by a Prooxidant Treatment In Vitro and In Vivo: The Many Ways Cells Die. 2018 Dans J. A. Radosevich (Ed. ), Apoptosis and Beyond Wiley-Blackwell. Schmit K, Michiels C. TMEM Proteins in Cancer: A Review. Front Pharmacol. 2018 Dec 6;9:1345. Penninckx S, Heuskin AC, Michiels C, Lucas S. The role of thioredoxin reductase in gold nanoparticle radiosensitization effects. Nanomedicine (Lond). 2018 Nov 14. Longton E, Schmit K, Fransolet M, Clement F, Michiels C. Appropriate Sequence for Afatinib and Cisplatin Combination Improves Anticancer Activity in Head and Neck Squamous Cell Carcinoma. Front Oncol. 2018 Oct 5;8:432. Édeline V, Remouchamps V, Isnardi V, Vander Borght T. Multimodality imaging using PET/CT ((18)F)-fluorodeoxyglucose for radiotherapy field delineation of localized Hodgkin lymphoma. Cancer Radiother. 2018 Sep;22(5):384-392. Berriolo-Riedinger A, Becker S, Casasnovas O, Vander Borght T, Édeline V. Role of FDG PET-CT in the treatment management of Hodgkin lymphoma. Cancer Radiother. 2018 Sep;22(5):393-400. Bouvy C, Wannez A, George F, Graux C, Chatelain C, Dogné JM. Circulating MicroRNAs as Biomarkers in Diffuse Large B-cell Lymphoma: A Pilot Prospective Longitudinal Clinical Study. Biomark Cancer. 2018 Jun 18;10:1179299X18781095. Genard G, Wera AC, Huart C, Le Calve B, Penninckx S, Fattaccioli A, Tabarrant T, Demazy C, Ninane N, Heuskin AC, Lucas S, Michiels C. Proton irradiation orchestrates macrophage reprogramming through NFκB signaling. Cell Death Dis. 2018 Jun 27;9(7):728. Cook LB, Rowan AG, Demontis MA, Sagawe S, Gillet NA, Melamed A, Greiller C, Witkover A, Bangham CRM, Taylor GP. Long-term clinical remission maintained after cessation of zidovudine and interferon-α therapy in chronic adult T-cell leukemia/lymphoma. Int J Hematol. 2018 Mar;107(3):378-382. Hinz T, Kallen K, Britten CM, Flamion B, Granzer U, Hoos A, Huber C, Khleif S, Kreiter S, Rammensee HG, Sahin U, Singh-Jasuja H, Türeci Ö, Kalinke U. The European Regulatory Environment of RNA-Based Vaccines. Methods Mol Biol. 2017;1499:203-222. Cook LB, Rowan AG, Demontis MA, Sagawe S, Gillet NA, Melamed A, Greiller C, Witkover A, Bangham CRM, Taylor GP. Long-term clinical remission maintained after cessation of zidovudine and interferon-α therapy in chronic adult T-cell leukemia/lymphoma. Int J Hematol. 2017 Oct 31. Rondelet G, Fleury L, Faux C, Masson V, Dubois J, Arimondo PB, Willems L, Wouters J. Inhibition studies of DNA methyltransferases by maleimide derivatives of RG108 as non-nucleoside inhibitors. Future Med Chem. 2017 Sep;9(13):1465-1481. Heuskin AC, Gallez B, Feron O, Martinive P, Michiels C, Lucas S. Metallic nanoparticles irradiated by low energy protons for radiation therapy: are there significant physical effects to enhance the dose delivery? Med Phys. 2017 Aug;44(8):4299-4312. Genard G, Lucas S, Michiels C. Reprogramming of Tumor-Associated Macrophages with Anticancer Therapies: Radiotherapy versus Chemo- and Immunotherapies. Front Immunol. 2017 Jul 14;8:828. Baldini N, De Milito A, Feron O, Gillies RJ, Michiels C, Otto AM, Pastoreková S, Pedersen SF, Porporato PE, Sonveaux P, Supuran CT, Avnet S. Annual Meeting of the International Society of Cancer Metabolism (ISCaM): Metabolic Networks in Cancer. Front Pharmacol. 2017 Jul 4;8:411. Rondelet G, Wouters J. Human DNA (cytosine-5)-methyltransferases: A functional and structural perspective for epigenetic cancer therapy. Biochimie. 2017 Aug;139:137-147. Carvalho A, Chu J, Meinguet C, Kiss R, Vandenbussche G, Masereel B, Wouters J, Kornienko A, Pelletier J, Mathieu V. Data in support of a harmine-derived beta-carboline in vitro effects in cancer cells through protein synthesis. Data Brief. 2017 May 5;12:546-551. Verdon Q, Boonen M, Ribes C, Jadot M, Gasnier B, Sagné C. SNAT7 is the primary lysosomal glutamine exporter required for extracellular protein-dependent growth of cancer cells. Proc Natl Acad Sci U S A. 2017 May 2;114(18):E3602-E3611. Carvalho A, Chu J, Meinguet C, Kiss R, Vandenbussche G, Masereel B, Wouters J, Kornienko A, Pelletier J, Mathieu V. A harmine-derived beta-carboline displays anti-cancer effects in vitro by targeting protein synthesis. Eur J Pharmacol. 2017 Jun 15;805:25-35. Li S, Penninckx S, Karmani L, Heuskin AC, Watillon K, Marega R, Zola J, Corvaglia V, Genard G, Gallez B, Feron O, Martinive P, Bonifazi D, Michiels C, Lucas S. LET-dependent radiosensitization effects of gold nanoparticles for proton irradiation. Nanotechnology. 2016 Nov 11;27(45):455101. Brisson L, Bański P, Sboarina M, Dethier C, Danhier P, Fontenille MJ, Van Hée VF, Vazeille T, Tardy M, Falces J, Bouzin C, Porporato PE, Frédérick R, Michiels C, Copetti T, Sonveaux P. Lactate Dehydrogenase B Controls Lysosome Activity and Autophagy in Cancer. Cancer Cell. 2016 Sep 12;30(3):418-31. Glorieux C, Sandoval JM, Fattaccioli A, Dejeans N, Garbe JC, Dieu M, Verrax J, Renard P, Huang P, Calderon PB. Chromatin remodeling regulates catalase expression during cancer cells adaptation to chronic oxidative stress. Free Radic Biol Med. 2016 Aug 31;99:436-450. Marega R, Prasetyanto EA, Michiels C, De Cola L, Bonifazi D. Fast Targeting and Cancer Cell Uptake of Luminescent Antibody-Nanozeolite Bioconjugates. Small. 2016 Oct;12(39):5431-5441. Michiels C, Tellier C, Feron O. Cycling hypoxia: A key feature of the tumor microenvironment. Biochim Biophys Acta. 2016 Aug;1866(1):76-86. Heuskin AC, Osseiran AI, Tang J, Costes SV. Simulating Space Radiation-Induced Breast Tumor Incidence Using Automata. Radiat Res. 2016 Jul;186(1):27-38. Le Calvé B, Griveau A, Vindrieux D, Maréchal R, Wiel C, Svrcek M, Gout J, Azzi L, Payen L, Cros J, de la Fouchardière C, Dubus P, Guitton J, Bartholin L, Bachet JB, Bernard D. Lysyl oxidase family activity promotes resistance of pancreatic ductal adenocarcinoma to chemotherapy by limiting the intratumoral anticancer drug distribution. Oncotarget. 2016 May 31;7(22):32100-12. Karmani L, Levêque P, Bouzin C, Bol A, Dieu M, Walrand S, Vander Borght T, Feron O, Grégoire V, Bonifazi D, Michiels C, Lucas S, Gallez B. Biodistribution of (125)I-labeled anti-endoglin antibody using SPECT/CT imaging: Impact of in vivo deiodination on tumor accumulation in mice. Nucl Med Biol. 2016 Mar 29;43(7):415-423. Gillet JP, Andersen JB, Madigan JP, Varma S, Bagni RK, Powell K, Burgan WE, Wu CP, Calcagno AM, Ambudkar SV, Thorgeirsson SS, Gottesman MM. A Gene Expression Signature Associated with Overall Survival in Patients with Hepatocellular Carcinoma Suggests a New Treatment Strategy Mol Pharmacol. 2016 Feb;89(2):263-72. Gottesman MM, Lavi O, Hall MD, Gillet JP. 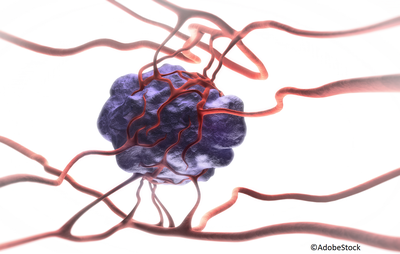 Toward a Better Understanding of the Complexity of Cancer Drug Resistance. Annu Rev Pharmacol Toxicol. 2016 Jan 6;56:85-102. Corvaglia V, Marega R, De Leo F, Michiels C, Bonifazi D. Cancer Cells: Unleashing Cancer Cells on Surfaces Exposing Motogenic IGDQ Peptides. Small. 2016 Jan 20;12(3):321-9. Leclere L., Fransolet M., Cambier P., El Bkassiny S., Tikad A., Dieu M., Vincent S.P., Van Cutsem P., Michiels C. Identification of a cytotoxic molecule in heat-modified citrus pectin (2016) Carbohydrate Polymers, 137, pp. 39-51. Corvaglia V, Marega R, De Leo F, Michiels C, Bonifazi D. Unleashing Cancer Cells on Surfaces Exposing Motogenic IGDQ Peptides. Small. 2015 Nov 19. Genin M, Clement F, Fattaccioli A, Raes M, Michiels C. M1 and M2 macrophages derived from THP-1 cells differentially modulate the response of cancer cells to etoposide. BMC Cancer. 2015 Aug 8;15:577. Meinguet C, Masereel B, Wouters J. Preparation and characterization of a new harmine-based antiproliferative compound in complex with cyclodextrin: Increasing solubility while maintaining biological activity. Eur J Pharm Sci. 2015 Sep 18;77:135-40. Lucas S, Feron O, Gallez B, Masereel B, Michiels C, Vander Borght T. Monte Carlo Calculation of Radioimmunotherapy with (90)Y-, (177)Lu-, (131)I-, (124)I-, and (188)Re-Nanoobjects: Choice of the Best Radionuclide for Solid Tumour Treatment by Using TCP and NTCP Concepts. Comput Math Methods Med. 2015;2015:284360. Brohée L, Demine S, Willems J, Arnould T, Colige AC, Deroanne CF. Lipin-1 regulates cancer cell phenotype and is a potential target to potentiate rapamycin treatment. Oncotarget. 2015 May 10;6(13):11264-80. Notte A, Rebucci M, Fransolet M, Roegiers E, Genin M, Tellier C, Watillon K, Fattaccioli A, Arnould T, Michiels C. Taxol-induced unfolded protein response activation in breast cancer cells exposed to hypoxia: ATF4 activation regulates autophagy and inhibits apoptosis. Int J Biochem Cell Biol. 2015 May;62:1-14. Rebucci M, Sermeus A, Leonard E, Delaive E, Dieu M, Fransolet M, Arnould T, Michiels C miRNA-196b inhibits cell proliferation and induces apoptosis in HepG2 cells by targeting IGF2BP1. Mol Cancer. 2015 Apr 8;14(1):79. Meinguet C, Bruyère C, Frédérick R, Mathieu V, Vancraeynest C, Pochet L, Laloy J, Mortier J, Wolber G, Kiss R, Masereel B, Wouters J. 3D-QSAR, design, synthesis and characterization of trisubstituted harmine derivatives with in vitro antiproliferative properties. Eur J Med Chem. 2015 Apr 13;94:45-55. Leclere L, Fransolet M, Cote F, Cambier P, Arnould T, Van Cutsem P, Michiels C. Heat-Modified Citrus Pectin Induces Apoptosis-Like Cell Death and Autophagy in HepG2 and A549 Cancer Cells. PLoS One. 2015 Mar 20;10(3). Riquier H, Abel D, Wera AC, Heuskin AC, Genard G, Lucas S, Michiels C. Effects of Alpha Particle and Proton Beam Irradiation as Putative Cross-Talk between A549 Cancer Cells and the Endothelial Cells in a Co-Culture System Cancers (Basel). 2015 Mar 18;7(1):481-502. Tellier C, Desmet D, Petit L, Finet L, Graux C, Raes M, Feron O, Michiels C. Cycling hypoxia induces a specific amplified inflammatory phenotype in endothelial cells and enhances tumor-promoting inflammation in vivo. Neoplasia. 2015 Jan;17(1):66-78. Sid B, Glorieux C, Valenzuela M, Rommelaere G, Najimi M, Dejeans N, Renard P, Verrax J, Calderon PB. AICAR induces Nrf2 activation by an AMPK-independent mechanism in hepatocarcinoma cells. Biochem Pharmacol. 2014 Sep 15;91(2):168-80. Keniya MV, Holmes AR, Niimi M, Lamping E, Gillet JP, Gottesman MM, Cannon RD. Drug resistance is conferred on the model yeast Saccharomyces cerevisiae by expression of full-length melanoma-associated human ATP-binding cassette transporter ABCB5. Mol Pharm. 2014 Oct 6;11(10):3452-62. Daisne JF, Installé J, Bihin B, Laloux M, Vander Borght T, Mathieu I, Lawson G. SPECT/CT lymphoscintigraphy of sentinel node(s) for superselective prophylactic irradiation of the neck in cN0 head and neck cancer patients: a prospective phase I feasibility study. Radiat Oncol. 2014 May 28;9:121. Karmani L, Bouchat V, Bouzin C, Levêque P, Labar D, Bol A, Deumer G, Marega R, Bonifazi D, Haufroid V, Michiels C, Grégoire V, Feron O, Lucas S, Vander Borght T, Gallez B. (89)Zr-labeled anti-endoglin antibody-targeted gold nanoparticles for imaging cancer: implications for future cancer therapy. Nanomedicine (Lond). 2014 Sep;9(13):1923-37. Bouvy C, Gheldof D, Chatelain C, Mullier F, Dogne JM Contributing role of extracellular vesicles on vascular endothelium haemostatic balance in cancer. Journal of extracellular vesicles 2014, Jul 11;3. De Meulder B, Berger F, Bareke E, Depiereux S, Michiels C, Depiereux E Meta-analysis and gene set analysis of archived microarrays suggest implication of the spliceosome in metastatic and hypoxic phenotypes. PloS one 2014, 9:e86699. Serra S, Moineaux L, Vancraeynest C, Masereel B, Wouters J, Pochet L, Frederick R Thiosemicarbazide, a fragment with promising indolamine-2,3-dioxygenase (IDO) inhibition properties. European journal of medicinal chemistry 2014, 82:96-105. Heuskin AC, Michiels C, Lucas S Low dose hypersensitivity following in vitro cell irradiation with charged particles: Is the mechanism the same as with X-ray radiation? International journal of radiation biology 2014, 90:81-89. Karmani L, Labar D, Valembois V, Bouchat V, Nagaswaran PG, Bol A, Gillart J, Levêque P, Bouzin C, Bonifazi D, Michiels C, Feron O, Grégoire V, Lucas S, Vander Borght T, Gallez B. Antibody-functionalized nanoparticles for imaging cancer: influence of conjugation to gold nanoparticles on the biodistribution of 89Zr-labeled cetuximab in mice. Contrast Media Mol Imaging. 2013 Sep-Oct;8(5):402-8. Krug B, Crott R, de Cannière L, D'Hondt L, Vander Borght T. A systematic review of the predictive value of 18F-fluoro2-deoxyglucose positron emission tomography on survival in locally advanced rectal cancer after neoadjuvant chemoradiation. Colorectal Dis. 2013 Nov;15(11):e627-33. Britten CM, Singh-Jasuja H, Flamion B, Hoos A, Huber C, Kallen KJ, Khleif SN, Kreiter S, Nielsen M, Rammensee HG, Sahin U, Hinz T, Kalinke U. The regulatory landscape for actively personalized cancer immunotherapies. Nature biotechnology 2013, 31:880-882. Heuskin AC, Michiels C, Lucas S Toward computer simulation of high-LET in vitro survival curves Physics in medicine and biology 2013, 58:6495-6510. Heuskin AC, Wera AC, Riquier H, Michiels C, Lucas S Low-Dose Hypersensitivity and Bystander Effect are Not Mutually Exclusive in A549 Lung Carcinoma Cells after Irradiation with Charged Particles Radiation research 2013, 180:491-498. Leclere L, Cutsem PV, Michiels C Anti-cancer activities of pH- or heat-modified pectin. Frontiers in pharmacology 2013, 4:128. Notte A, Ninane N, Arnould T, Michiels C Hypoxia counteracts taxol-induced apoptosis in MDA-MB-231 breast cancer cells: role of autophagy and JNK activation Cell death & disease 2013, 4:e638. Ranasinghe WK, Xiao L, Kovac S, Chang M, Michiels C, Bolton D, Shulkes A, Baldwin GS, Patel O The role of hypoxia-inducible factor 1alpha in determining the properties of castrate-resistant prostate cancers PloS one 2013, 8:e54251. Rebucci M, Michiels C Molecular aspects of cancer cell resistance to chemotherapy. Biochemical pharmacology 2013, 85:1219-1226. Riquier H, Wera AC, Heuskin AC, Feron O, Lucas S, Michiels C Comparison of X-ray and alpha particle effects on a human cancer and endothelial cells: survival curves and gene expression profiles Radiotherapy and oncology : journal of the European Society for Therapeutic Radiology and Oncology 2013, 106:397-403. Sermeus A, Rebucci M, Fransolet M, Flamant L, Desmet D, Delaive E, Arnould T, Michiels C Differential effect of hypoxia on etoposide-induced DNA damage response and p53 regulation in different cell types Journal of cellular physiology 2013, 228:2365-2376. Wera AC, Heuskin AC, Riquier H, Michiels C, Lucas S Low-LET proton irradiation of A549 non-small cell lung adenocarcinoma cells: dose response and RBE determination. Radiation research 2013, 179:273-281. Flamant L, Roegiers E, Pierre M, Hayez A, Sterpin C, De Backer O, Arnould T, Poumay Y, Michiels C TMEM45A is essential for hypoxia-induced chemoresistance in breast and liver cancer cells BMC cancer 2012, 12:391. Frederick R, Bruyere C, Vancraeynest C, Reniers J, Meinguet C, Pochet L, Backlund A, Masereel B, Kiss R, Wouters J Novel trisubstituted harmine derivatives with original in vitro anticancer activity Journal of medicinal chemistry 2012, 55:6489-6501. Mahjoubi K, Destiné M, Palumbo S, Huyskens D, Daisne JF EP-1474 Clinical evaluation of an adaptative radiotherapy software on a head and neck cancer population. Radiotherapy and Oncology 2012, 103:s563. Pilotte L, Larrieu P, Stroobant V, Colau D, Dolusic E, Frédérick R, De Plaen E, Uyttenhove C, Wouters J, Masereel B, Van den Eynde BJ. Reversal of tumoral immune resistance by inhibition of tryptophan 2,3-dioxygenase Proceedings of the National Academy of Sciences of the United States of America 2012, 109:2497-2502. Moineaux L, Laurent S, Reniers J, Dolusic E, Galleni M, Frere JM, Masereel B, Frederick R, Wouters J Synthesis, crystal structures and electronic properties of isomers of chloro-pyridinylvinyl-1H-indoles European journal of medicinal chemistry 2012, 54:95-102. Sermeus A, Genin M, Maincent A, Fransolet M, Notte A, Leclere L, Riquier H, Arnould T, Michiels C Hypoxia-induced modulation of apoptosis and BCL-2 family proteins in different cancer cell types PloS one 2012, 7:e47519. Marega, R., Karmani, L., Flamant, L., Nageswaran, P.G., Valembois, V., Masereel, B., Feron, O., Borght, T.V., Lucas, S., Michiels, C., Gallez, B., Bonifazi, D. Antibody-functionalized polymer-coated gold nanoparticles targeting cancer cells: An in vitro and in vivo study (2012) Journal of Materials Chemistry, 22 (39), pp. 21305-21312. Wéra AC, Borlon C, Nuttens VE, Riquier H, Feron O, Michiels C, Lucas S. Comparison of the clonogenic survival of A549 non-small cell lung adenocarcinoma cells after irradiation with low-dose-rate beta particles and high-dose-rate X-rays. Int J Radiat Biol. 2012 Mar;88(3):253-7. Synthesis and inhibition study of monoamine oxidase, indoleamine 2,3-dioxygenase and tryptophan 2,3-dioxygenase by 3,8-substituted 5H-indeno[1,2-c]pyridazin-5-one derivatives. J. Reniers, C. Meinguet, L. Moineaux, B. Masereel, S.P. Vincent, R. Frederick, J. Wouters. European Journal of Medicinal Chemistry, Volume 46, Issue 12, December 2011, Pages 6104-6111. Tryptophan 2,3-Dioxygenase (TDO) Inhibitors. 3-(2-(Pyridyl)ethenyl)indoles as Potential Anticancer Immunomodulators. Eduard Dolusic, Pierre Larrieu, Laurence Moineaux, Vincent Stroobant, Luc Pilotte, Didier Colau, Lionel Pochet, Benoît Van den Eynde, Bernard Masereel, Johan Wouters, and Raphaël Frédérick. J. Med. Chem., 2011, 54 (15), pp 5320–5334. Autophagy as a mediator of chemotherapy-induced cell death in cancer. Notte A, Leclere L, Michiels C. Biochem Pharmacol. 2011 Sep 1;82(5):427-34. An NTCP Analysis of Urethral Complications from Low Doserate Mono- and Bi-Radionuclide Brachytherapy. V.Nuttens, E.Nahum and S. Lucas. Prostate Cancer. Volume 2011 (2011), Article ID 128360, 9 pages. Reciprocal influence of the p53 and the hypoxic pathways. Sermeus A, Michiels C. Cell Death Dis. 2011 May 26;2:e164. Pierre, M., DeHertogh, B., DeMeulder, B., Bareke, E., Depiereux, S., Michiels, C., Depiereux, E. Enhanced meta-analysis highlights genes involved in metastasis from several microarray datasets. In Journal of Proteomics and Bioinformatics, Volume 4, Issue 2, 2011, Pages 36-43. Cosse JP, Rommelaere G, Ninane N, Arnould T, Michiels C. BNIP3 protects HepG2 cells against etoposide-induced cell death under hypoxia by an autophagy-independent pathway. Biochem Pharmacol. 2010 Oct 15;80(8):1160-9. Flamant L, Notte A, Ninane N, Raes M, Michiels C. Anti-apoptotic role of HIF-1 and AP-1 in paclitaxel exposed breast cancer cells under hypoxia. Mol Cancer. 2010 Jul 13;9:191.